The Cinefamily has immersed themselves in the lesser-known Universal features to dig out the diamonds in the rough. 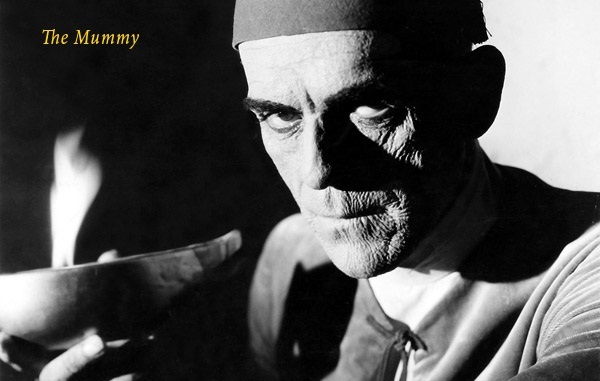 The Academy of Motion Picture Arts and Sciences has allowed Cinefamily access to their horror vaults in conjunction with their own “Legacy of Horror” showings. Move beyond Dracula and Frankenstein into B-side fright films from the 30s, 40s, and 50s. Favorite actors Boris Karloff, Bela Lugosi, Lon Chaney Jr., and John Carradine bring the thrills and chills in 20 hand-chosen films. We recommend House of Frankenstein, because it features more monsters than you can shake a stick at (though we don’t recommend you go around shaking sticks at them). Boris Karloff stars as the mad Dr. Niemann, Lon Chaney Jr. is The Wolfman, John Carradine is Count Dracula and Glenn Strange is The Monster. Cinefamily will present these gems at weekend matinees at The Silent Movie Theater, while The Academy will host a lineup of Universal’s most classic spooky titles at the Samuel Goldwyn Theater (with special screenings also held at the Linwood Dunn Theater, and the Oscars Outdoors arena). The finale show “features a custom hour-long video mix of the most amazing stand-alone scenes from all the cool vintage Universal Horror movies we didn’t have time to show — accompanied by insightful and colorful lecture-style notes from the Cinefamily programming staff!” As a special bonus for Cinefamily members, FREE pairs of tickets to all six of the Samuel Goldwyn Theater shows in this series are available at the Cinefamily box office. Inquire with the kindly Cinefamily box office staff the next time you’re at the theater!